5 top Markets in Barcelona. - Lakatwalk - a fashion and lifestyle blog. 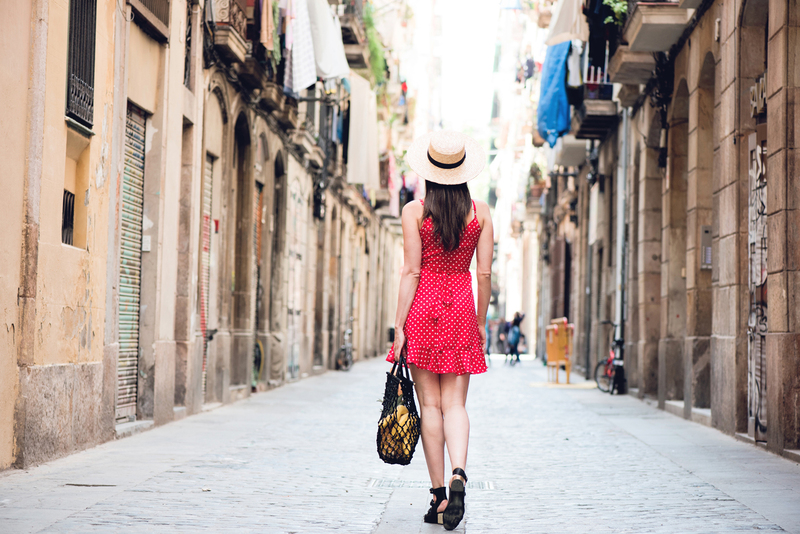 5 top Markets in Barcelona. One of my favorite thing about living in Spain is how it spoiled us with delicious fresh market produce all year around. 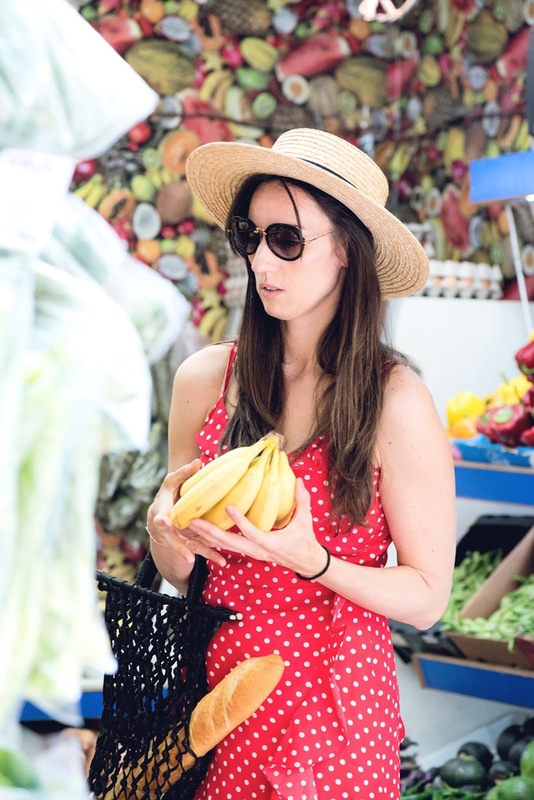 Of course, there is always a seasonal fruit like, in any other country, however gentle Mediterranean climate allows for locally produced oranges, bananas, berries and similar in my country (Croatia) exotic fruits are all year around treat. Thursday afternoons are for me always reserved for the local farmers market 'Mercat de la Terra'. 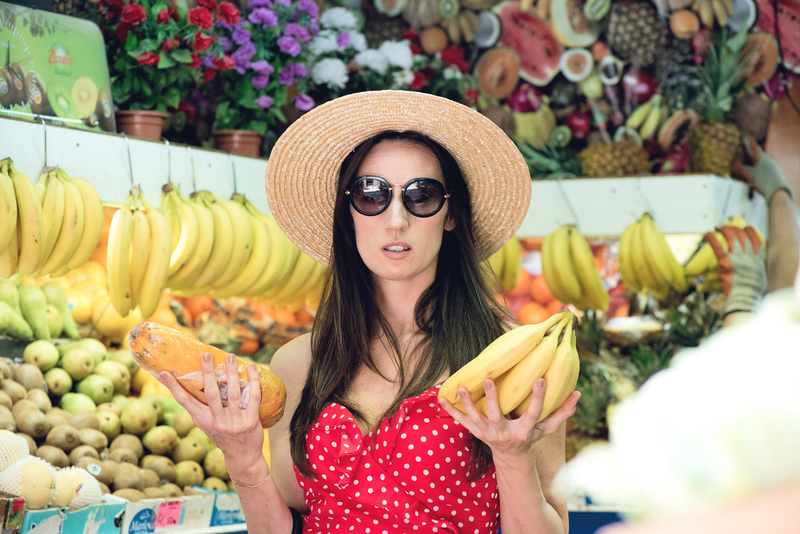 In Barcelona, local producers of honey, meat, cheeses, bread and produce have a small market in front of the neighborhood park so each day of the week a different neighborhood is visited by this traveling farmer's market. 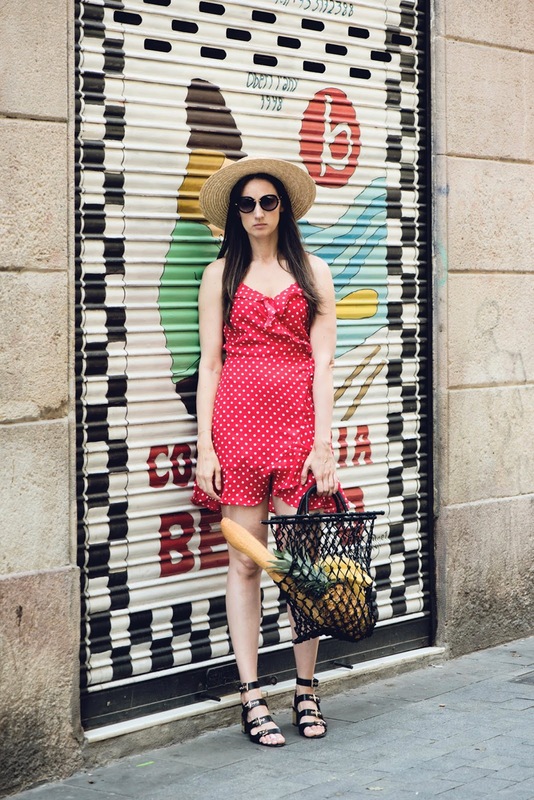 Even if you are visiting Barcelona as a tourist, you will surely enjoy experiencing, taking photos and sampling local but also imported exotic fruit, fruit juices, tasty Spanish cheeses, jamon /prosciutto and local pastries. 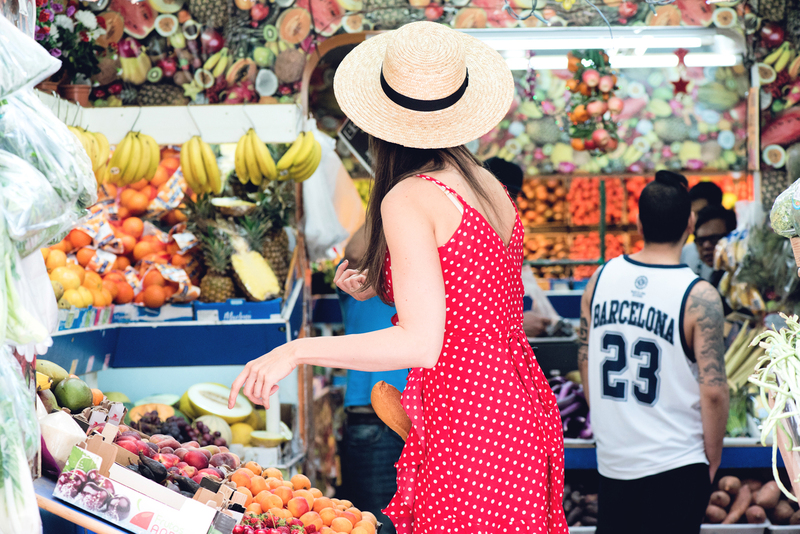 Bigger, more touristy markets tend to be more expensive. I definitely recommend local, small park markets for all who are staying in Barcelona for a longer period. 1. Mercat de la Boqueria. The biggest and most colorful market in Barcelona. The prices are truly fair in comparison to quality, variety, and quantity you get. When I first visited Barcelona I got a bunch of exotic spices as souvenirs for my family and friends. The only watch out I would mention is that La Boqueria is closed on Sunday's as many other places in Barcelona. 3. Mercat de Galvany. This is my neighorhood market, it is a bit pricy but offers great product variety. The market features gorgeous architecture, resembeling a church more then a market entrance from outside. There is a cafe there as well to take a quick espresso break after your weekend produce shopping trip. 4. Mercat de Sant Andreu. This market is smaller then previous three but it's very cozy and less crowded with small stalls, shops, bakeries and bars where you can grab a drink and tapas produced from fresh local ingredients. I can recommend Rabasseda restaurant where I had drink and tapas with my mom when she first visited. 5. Mercat de Sants. Like other Barcelona markets Sants Market offers stunning architecture and on top of wide variaty of fresh produce you can also buy a lot of ready to eat meals. My very favorites are empanadas with goat cheese and caramelized onions. We haven't shot this look inside of the markets as the light is rather dim and there are always to many people. 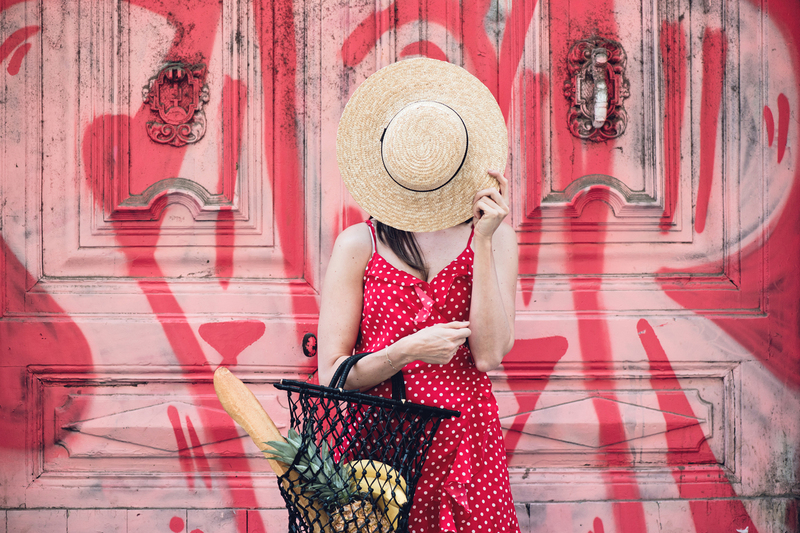 For my market #ootd I choose red and white polka dot frill dress with strah hat and my super comfortable Uterque sandals from last season. The leather net bag is the same one I had in Tangerine post but here I use it as a market bag.